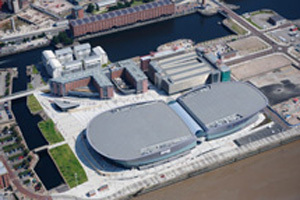 ACC Liverpool will host a series of teaching conferences bringing more than 3000 delegates to the city in 2013. The wins include the Association of Teachers and Lecturers (ATL) conference from 24-27 March, set to attract 600 delegates. ATL head of conferences David Kimber said: "We have already held two successful events at ACC Liverpool so have complete confidence that 2013 will be just as enjoyable. " The event will be followed by the National Union of Teachers’ (NUT) annual conference for 1,250 delegates from 29 March until 2 April. The waterfront venue will also host the International Association of Teachers of English as a Foreign Language (IATEFL) annual international conference and exhibition from 8-12 April.